Week one and two have come and gone like a tornado and left me feeling windblown and crazy! We are in the trenches, y’all, and the time in the trenches is sometimes the time to go into survival mode – I challenge you to do something enriching for your students that will help them to learn better and you to teach better – one flipped lesson. Here is what past Marianne would have wanted to hear when she started this whole flipped band hall business…present Marianne hopes that this helps you! Use this class to keep you grounded and not overwhelmed with 1000 videos to create! You may run into technical difficulties. It happens to everyone – you may need time to resolve them! You need to have a life outside of your band hall. I say this in the nicest way possible – your family, your dog, your fitness, your fave tv show’s should not be put on hold long term for this project…because then it becomes a chore…and we don’t like chores! One video a week is very attainable and should not change your life’s happiness! Make sure you (and the kids) are still having fun! Be patient and help students learn how to learn this way! It helps to show the website frequently in class – have it up on the projector when kids come in and/or leave…one of my favorite things to do is to put a funny video that I know they will want to watch on there and when they ask if we can watch it in class I tell them to go watch it on their own on the website – hah! Trickery at its finest! Tell parents and administrators about it! My principals do not always know what happens in the band hall – they don’t understand! What they DO understand are hot educational topics, ed tech topics, those gold educational buzz words. Toot your own horn a bit (I am TERRIBLE at this, but you will be glad you did it!). The parents of your students many times have NOT A CLUE what their kid is supposed to be doing in band – creating a resource for students ends up being a resource for their parents too! Remember: MANY parents want to help their student…but they just don’t know how. Help them learn! Side note: sometimes when it seems like parents don’t care…they really just don’t understand how to help their kid – be sensitive to this, especially in lower socio-economic schools where parents may not have even finished school themselves. I cannot encourage you enough to get your parents involved and visiting your resource to learn alongside their student!! Share your video’s in a group like flippedclassroom.org or here on That Flipping Band Director! Ask questions! You are probably not the only one with that question! Check out my other posts – I really do tell you guys, my internet music bff’s, EVERYTHING I do in regard to flipping my classroom – I am not keeping secrets, or leaving out my mistakes! Let’s be friends! Tell me about your flipped classroom endeavors! Ask me your questions! 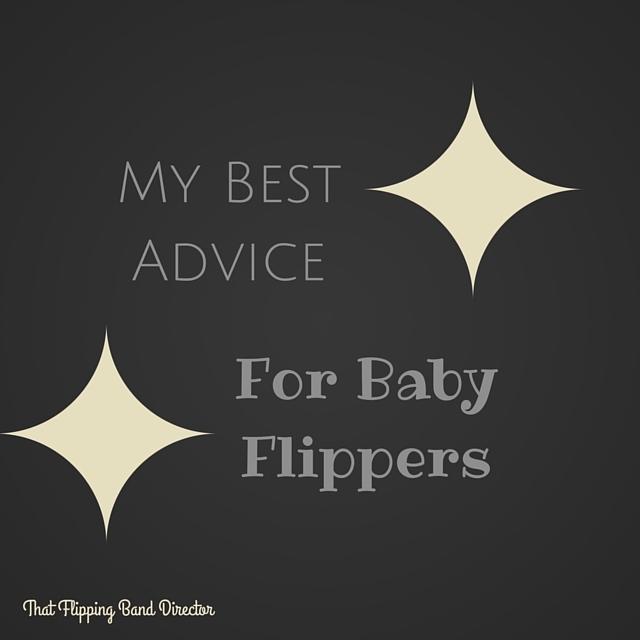 Good Luck, Baby Flipper – you go get ’em!